The origins of the ancient healing science known as Ayurveda are lost in cosmic antiquity. According to the ancient text Caraka-Samhita, this 'Science of Life and Longevity' is eternal and is revealed in the universe in each of its infinite cycles of creation and destruction. This healing science is generally revealed by great sages or demigods. Occasionally, the Supreme Lord Himself descends as the avatara, Dhanvantari and re-inaugurates the tradition of Ayurveda. This extremely rare appearance of God is recorded in the Vedic literature, The Shrimad Bhagwatam by Sage Shri Vyaasa, of ancient India as the Aarogya Mantra. This mantra is known to be extremely effective and is believed to be a proven remedy for bodily diseases. The vibrations of these chants set right all the functions on a cellular level - harmonizing food, body and creation. 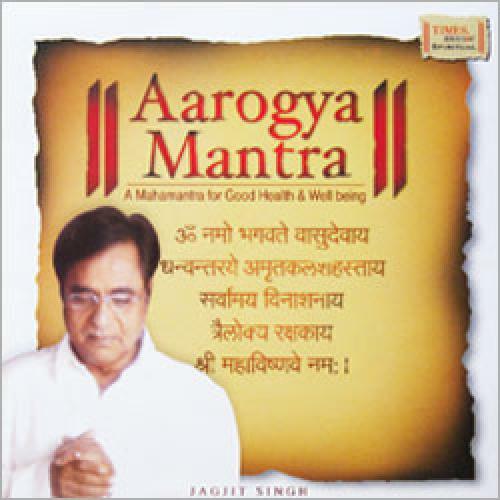 Enrich your mental and physical health with Aarogya Mantra, rendered by the legendary Jagjit Singh.